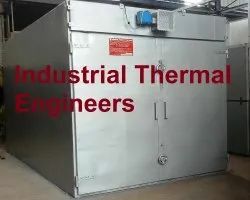 Pioneers in the industry, we offer food dryer and copra dryer from India. We are manufacturing food dryer as per customer need and specifications. 1. Per hour production of dried copra to be require in Kg and in number of copra and average size of copra – diameter and volume. 2. Available cover area in factory and minimum height available of shed where proposed drying plant has to be installed. 3. Which fuel you want to use? 5. Do you have steam boiler or oil heater? 7. Weight of same copra before drying and same after drying. 8. Any other specified requirement. We are using best heating system and data logging system as per International Standard. 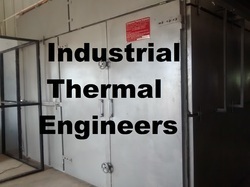 In our Copra Dryer working cost is 2- 3 Rupees per Kg. Total cycle time is 6 to 10 Hours. In our Copra Dryer Chimney will not be there, so Clearance from Pollution control department will not be applicable. In our Copra Dryer you may not require any pollution certification as our heating system follow European standards and electrical protection IP 55. Looking for Copra Dryer ?